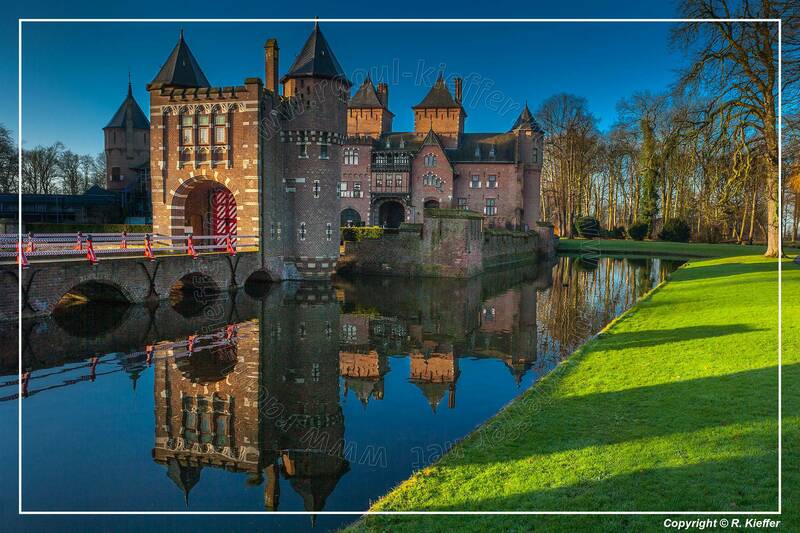 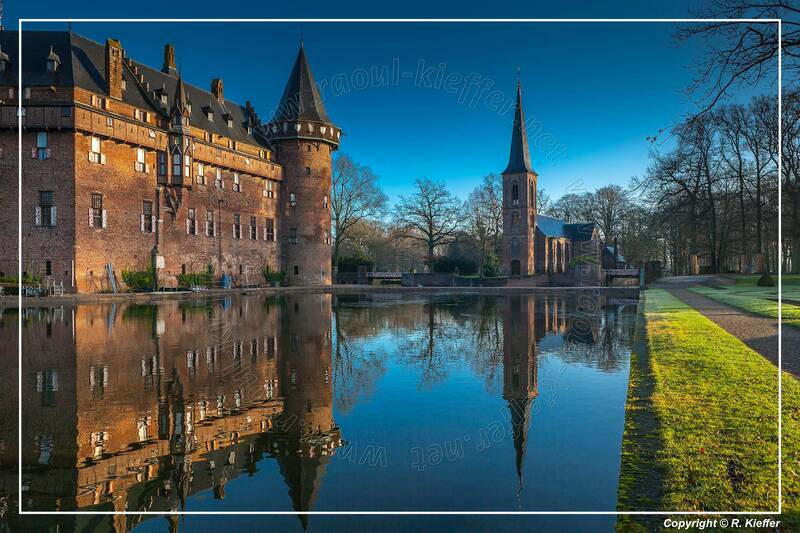 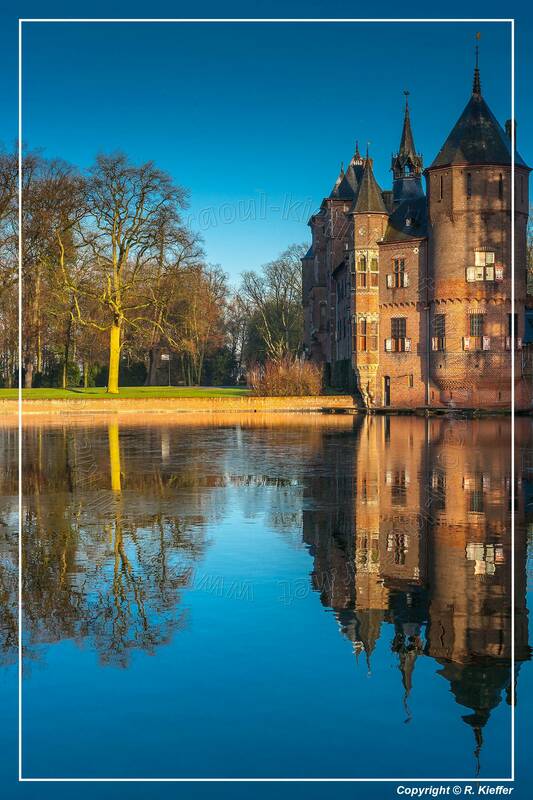 The De Haar Castle (Kasteel de Haar) in Haarzuilens was built from 1892 till 1912 largely incorporating the 15th century ruins of the original castle. 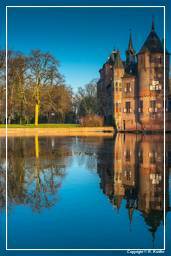 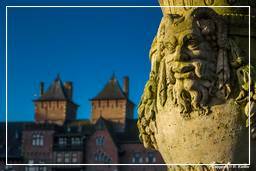 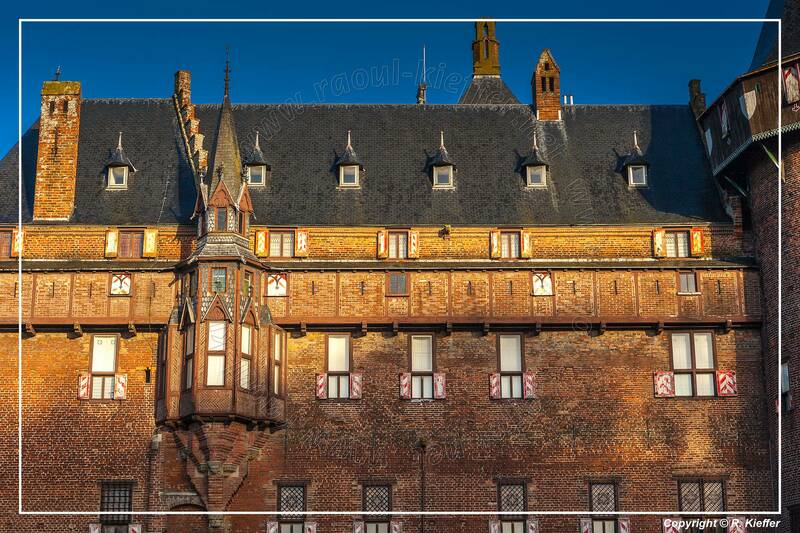 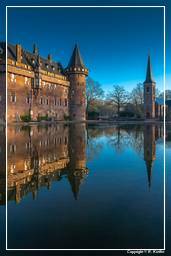 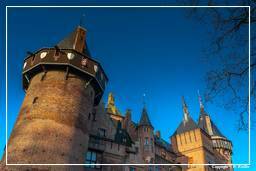 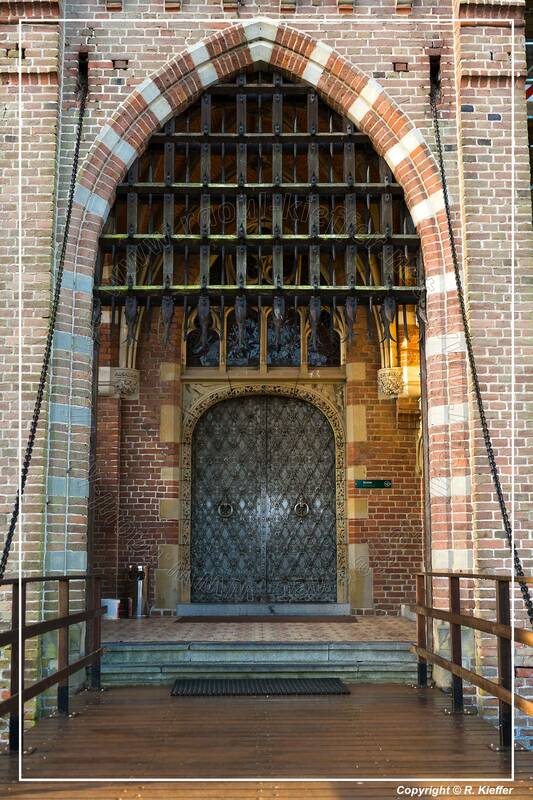 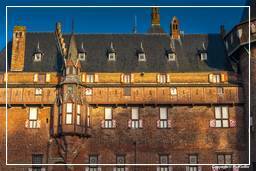 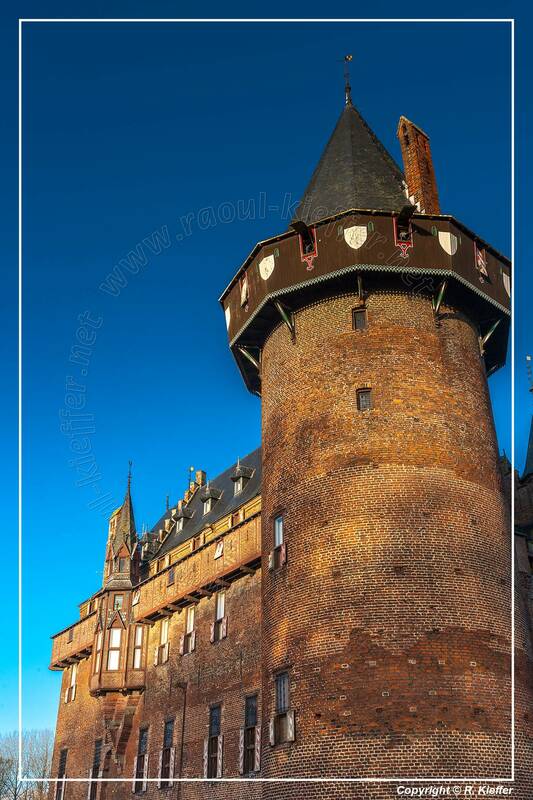 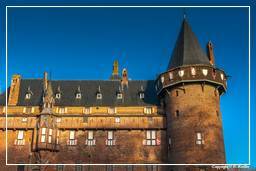 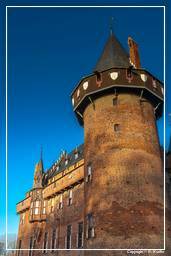 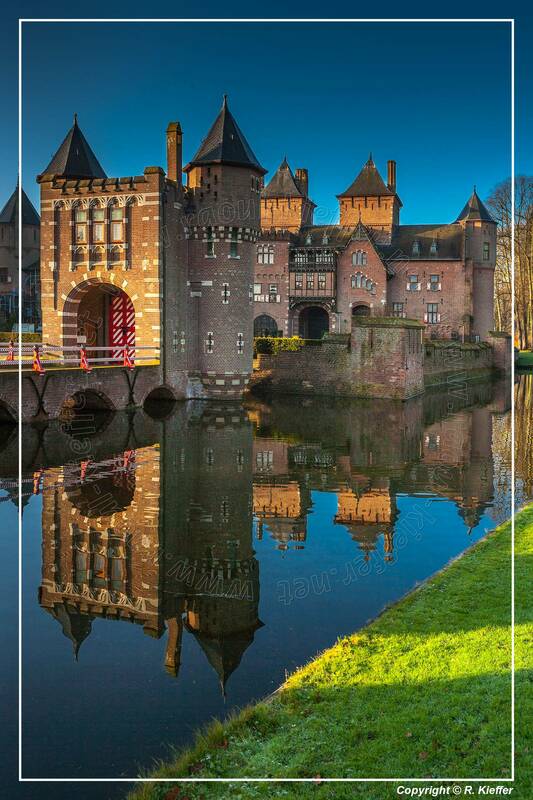 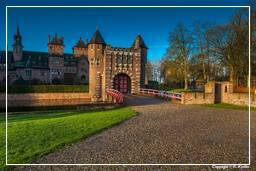 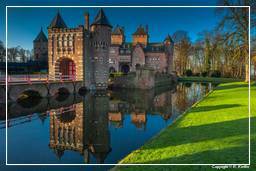 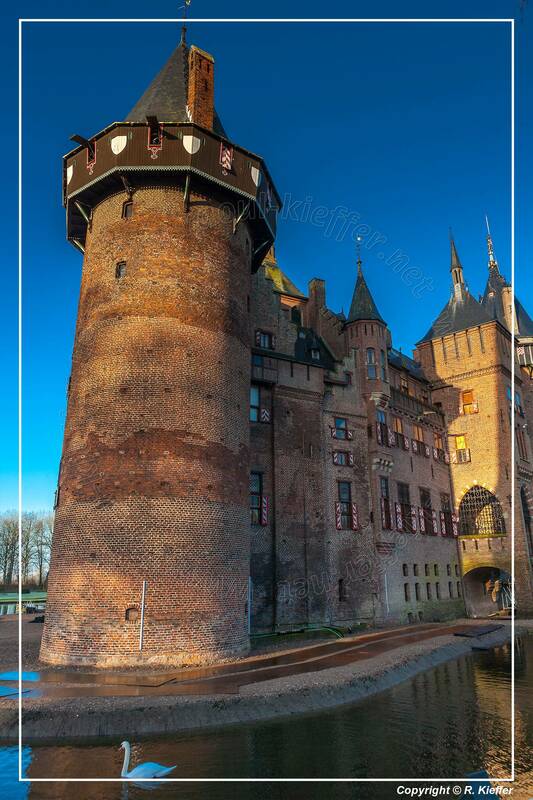 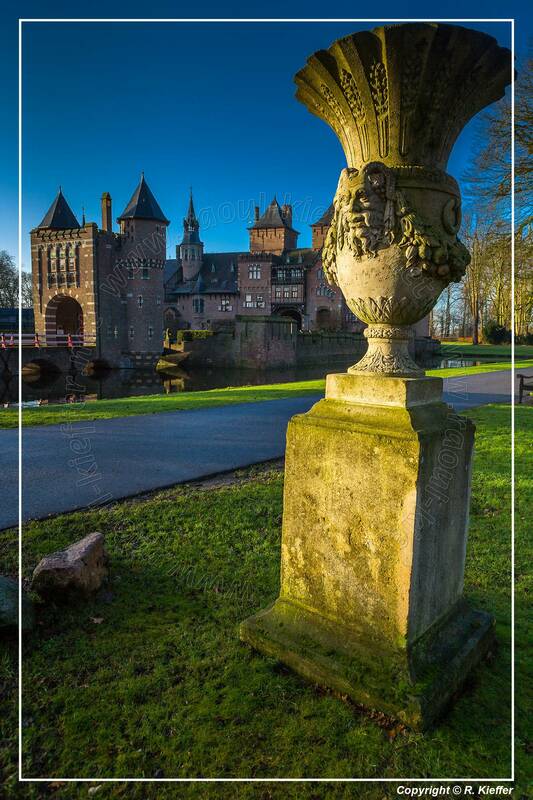 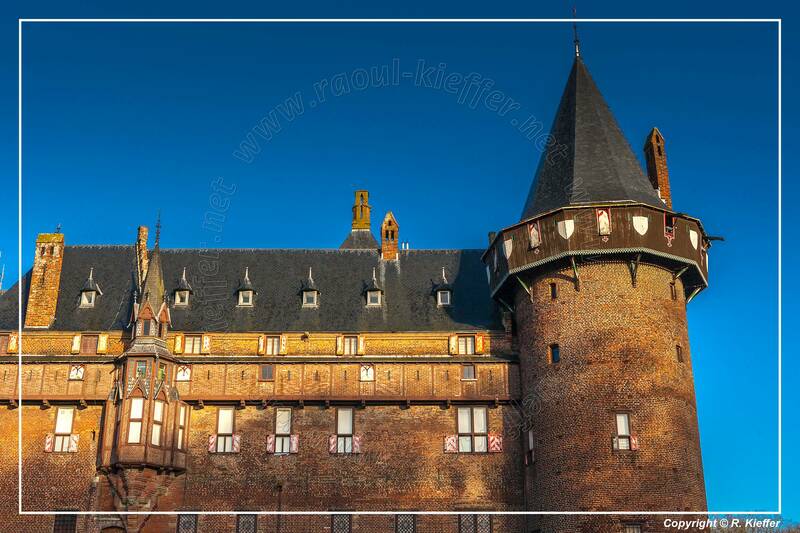 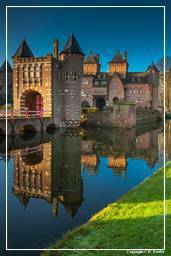 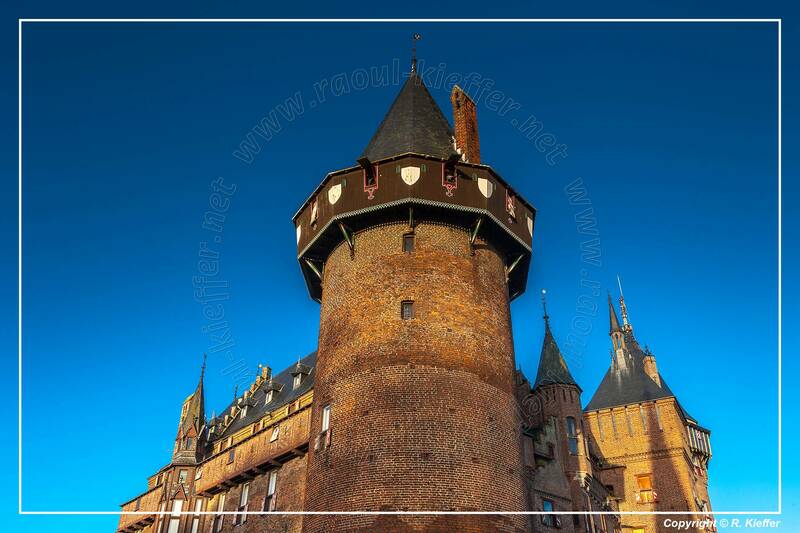 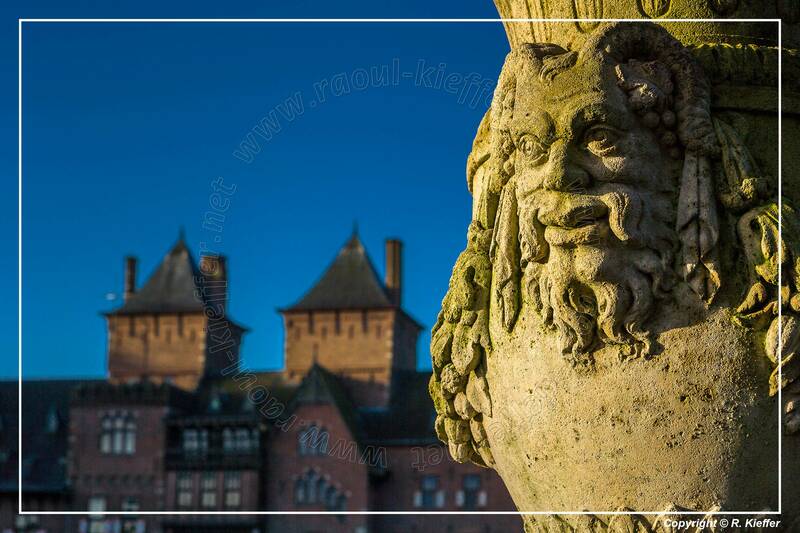 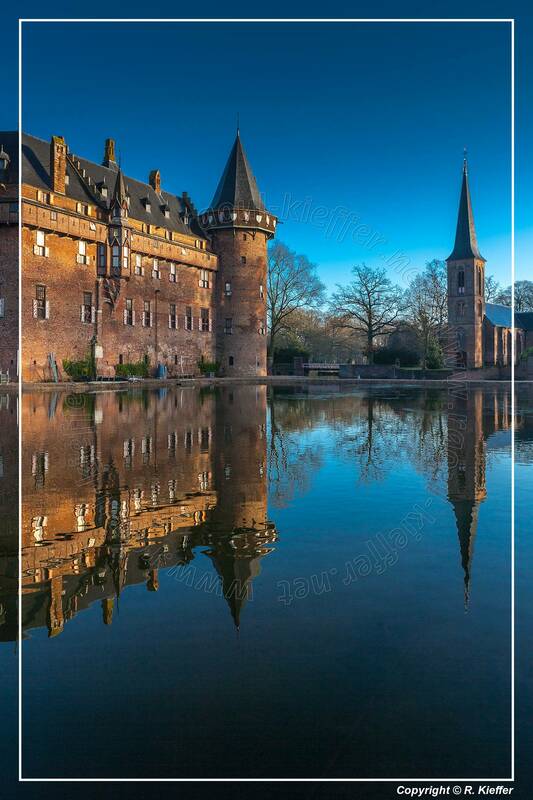 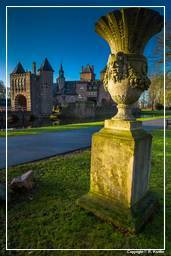 Founded in the 14th century on sediment deposits along a blind arm of the Rhine River, it was owned by a member of the Van de Haar family, who was a manservant of the Prince-bishop of Utrecht. 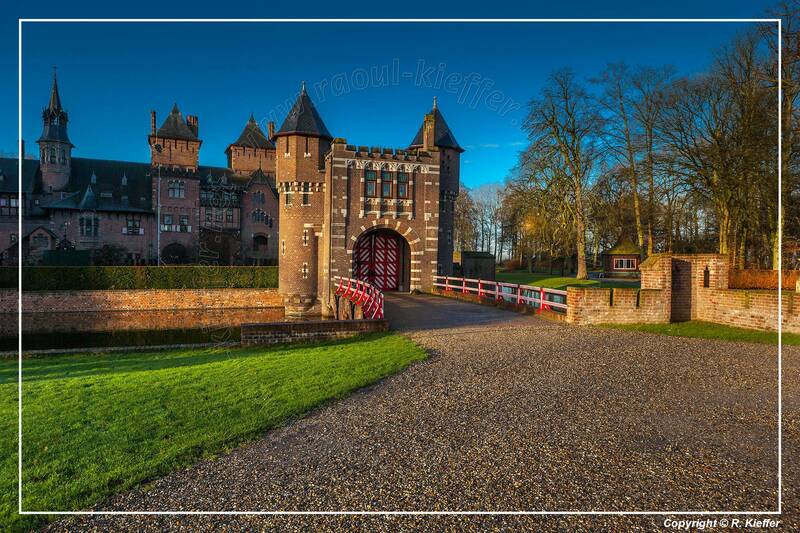 Through the marriage between Josyna van de Haar and Dirk van Zuylen, the castle became the property of the Van Zuylen Family. 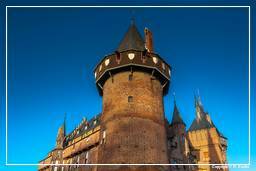 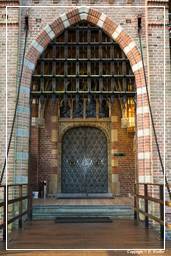 It received its pentagonal shape after its destruction in 1482 as a result of the quarrels between the bishop and the city of Utrecht.